This is a fun story with vibrant and optimistic Brooke reuniting with her middle school boyfriend, the now jaded Isaac. It took me a while to get a feel for both Brooke and Isaac since they start out expressing some extreme opinions but quickly fall back into a friendship despite their disagreements. They love to banter and don't go easy on each other. Their relationship is all about fun and they enjoy feeling good around each other, even when they often get frustrated. The subplot of Brooke's brother dating Isaac's sister added another dimension, especially with the disability of Isaac's niece and the way her family and friends supported her and handled the difficulties that arise. 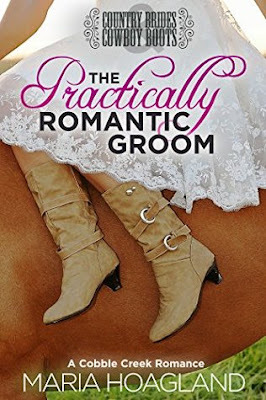 Check out all the books in the Cobble Creek Romance series . . . I don't read many romance books with a troubled marriage as the focus, but this one did it right. It was sad and disheartening to see how insecure and defensive Jamie and Kirk were, and how they let pride prevent them from being honest with each other. That was balanced out by the author skillfully weaving in pieces of their falling-in-love story to illustrate not only why their relationship was worth saving, but also the root of some of their issues. Communication, or the lack thereof, is the biggest hurdle they need to overcome. It's too easy as a reader to want to yell at them, "just say something!!!" but also recognizing that the difficult emotions they are feeling are all too realistic. I kept on reading quickly, trying to hurry to the point where they turn things around, but also found myself fascinated by the home renovations they undertake originating with demolishing a leaky bathroom. 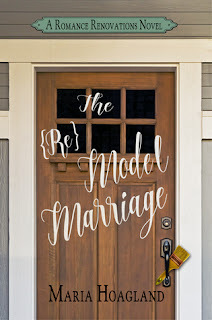 I found it to be a good metaphor for how they needed to fix their marriage- strip down the "quick fixes" until the true problem under the surface is revealed, and start over from there, building things carefully and correctly. Each chapter has a helpful tip about various aspects of home renovation, several of which I want to remember for the future!